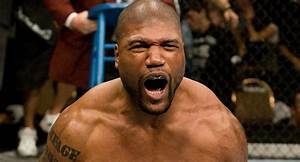 North American audiences watched the show on Spike TV, giving UFC 75 the highest ratings in the sport’s history at the time with an average of 4.7 million viewers. The Ultimate Fighter Season 3 winner Michael Bisping beat one of his rivals from the show, Matt Hamill, by split decision. Two judges awarded the bout to Bisping, while the other gave all three rounds to Hamill. French heavyweight Cheick Kongo upset Mirko Cro Cop by unanimous decision, improving his UFC record to 4-1. “The Irish Hand Grenade” Marcus Davis beat Paul Taylor by submission to an armbar at the 4:14 mark. Houston Alexander opened the show by knocking out Alessio Sakara with a knee strike and punches in 61 seconds. French fighter Jess “The Joker” Liaudin improved to 2-0 in the Octagon with a TKO win over Anthony Torres on the pre-show. In other preliminary bouts, Gleison Tibau beat Terry Etim by unanimous decision; Dennis Siver knocked out Naoyuki Kotani in Round 2; and Thiago Silva improved to 11-0 by defeating Tomasz Drwal by TKO in Round 2.